Lighting up a joint in an Amsterdam coffeeshop is one of those bucket list experiences that attracts thousands of tourists each year. From the stoner connoisseur to curious first-timers that want to see what all the fuss is about. I’ve put together a complete guide to getting high for the first time in Amsterdam. 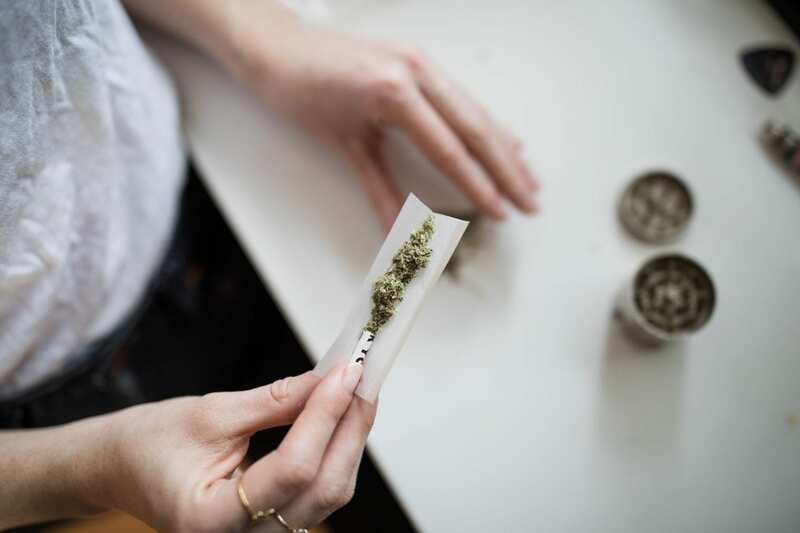 Find out what type of strain to buy if you’ve never touched cannabis, the etiquette rules to follow and some of the best coffeeshops in the city to visit and more. Is Weed Legal in the Netherlands? 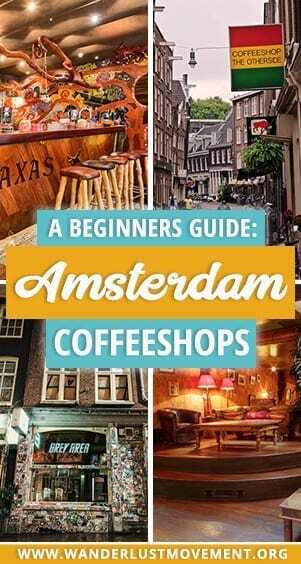 Where Can I Find Coffeeshops in Amsterdam? Can I Buy Weed From One Shop and Smoke It in Another Shop? Can I Smoke Weed Outside of Coffeeshops in Amsterdam? What is the Cost of Weed in Amsterdam? What Strain of Marijuana Should You Buy in Amsterdam Coffeeshops? Are Cannabis Strains Exclusive to Specific Amsterdam Coffeeshops? You Can’t Buy More Than Five Grams Per Day. 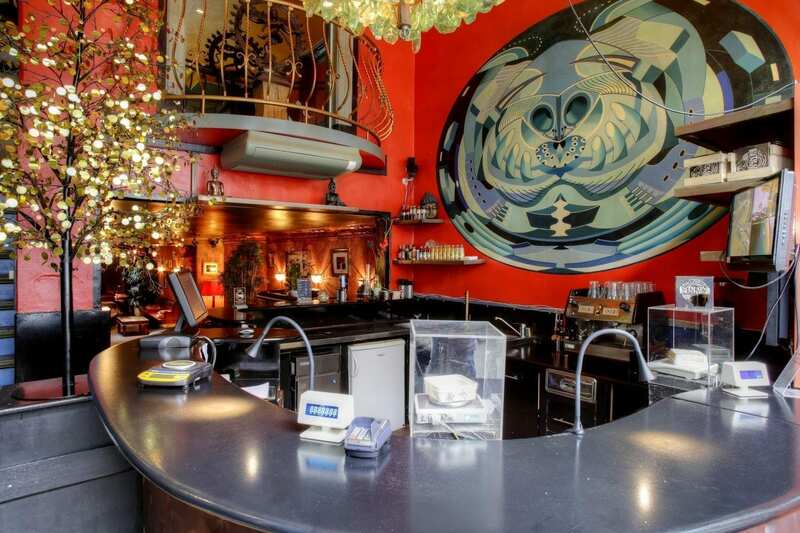 What Are The Best Amsterdam Coffeeshops in Amsterdam? Nope. Cannabis is not entirely legal in the Netherlands – it’s tolerated. Locals and tourists are allowed to buy weed or hash from an Amsterdam coffeeshop, but can’t carry more than five grams. If you buy weed from anywhere else that isn’t a coffeeshop, that’s a felony. Growing cannabis for commercial use is illegal. Only one to five plants for personal use is allowed. So that presents the conundrum: where do Amsterdam coffeeshops get their cannabis supplies from every day? I’m not sure. All I got told from locals is that the owners have to get creative to get around this legal loophole. A coffeeshop in the Netherlands isn’t a place where you go to warm up with a hot cup of joe. It’s where you can legally BUY marijuana (and some coffee or cold drinks on the side). 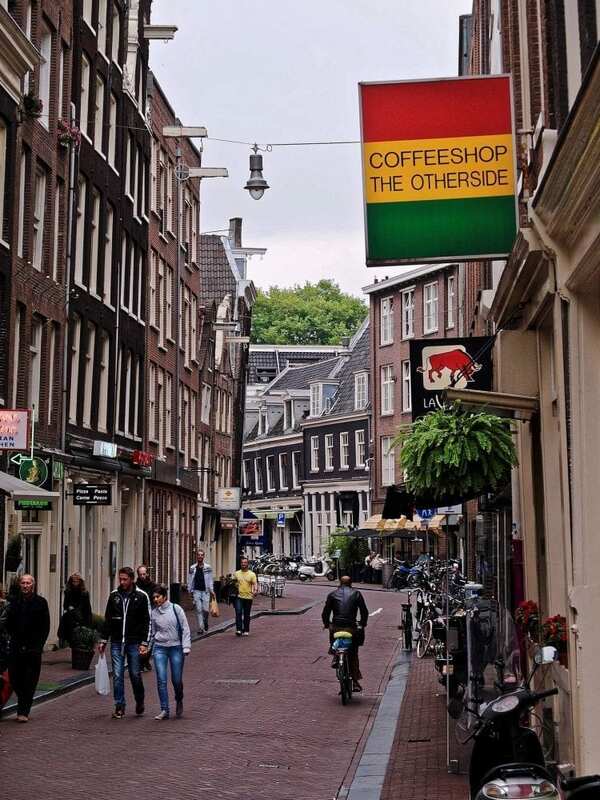 Before the Netherlands decriminalised cannabis in 1976, the establishments used the term “coffeeshop” as a cover. Since then, the name has stuck, and it’s caused some confusion for tourists simply looking to grab a coffee. If you’re not looking to get legally high, search on Google Maps for the nearest cafe or coffee house (koffie huis). Here you’ll find alcoholic drinks, pastries, caffeine and other light meals just like anywhere else in the world. All you need to do is follow your nose. (The smell is quite pungent and unique). Or you can look out for a green and white flag /sticker in a window that says “coffeeshop”. There are over 200 spots throughout the city – so you won’t have to look hard to get a legal high. Here’s a Google map of coffeeshops in Amsterdam. But it’s considered rude not to buy a drink or something to eat while you’re there. It’s always a good idea to check with your budtender what the coffeeshops policies are around bringing in outside weed. Coffeeshop Crush didn’t allow Greg and I to light up our own joints even though we had ordered a round of drinks. Smoking is not allowed in public areas, and you can get in trouble with the law if you’re caught. Stick to lighting up inside coffeeshops, and you’ll have a stress-free experience in Amsterdam. Weed in Amsterdam isn’t as cheap as it is in South Africa. It will cost you between EUR 9 to 15 ( R 150.00 to R 250.00) per gram depending on where you go. Coffeeshops in the centre of town will have much higher prices than places further away. The good news is you don’t need A LOT of weed to get high. The marijuana in Amsterdam is high quality, and a little goes a long way. We bought 1 gram for EUR 15 (R 250.00) and two joints for EUR 3 (R 50.00) each. I also ended up buying a space cake for EUR 7 (R 115.00) and split it up into thirds. 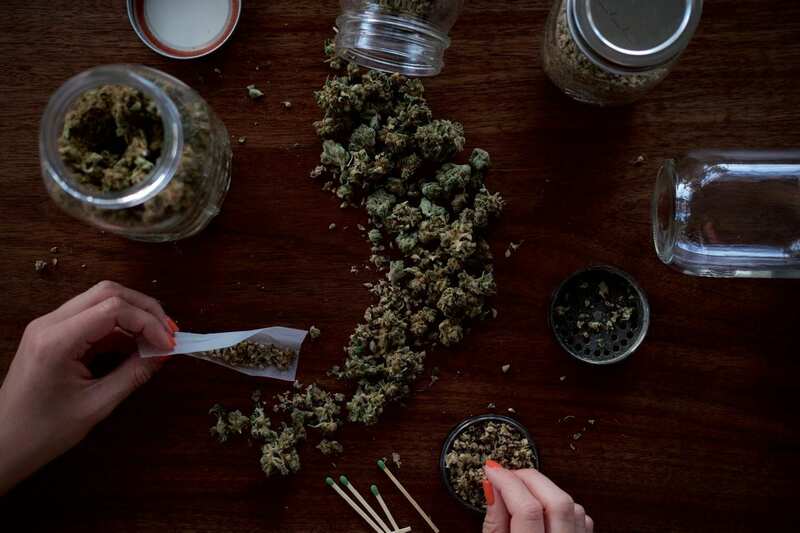 If it’s your first-time trying weed, speak to your budtender. Most will happily explain the menu to you and what you can expect from each strain. Sativa: an uplifting, energetic high. Indica: a relaxing, lazy high. Hybrid: a mix of both. Avoid sativa if it’s your first-time trying weed. It’s known for bringing on feelings of paranoia that you may not want to deal with in a public place. It’s quite rare to find a strain that’s only found in one coffeeshop in Amsterdam. If you’re not happy with the prices at one place, or you don’t dig the ambience or service, you can leave and find the same product elsewhere. Once you decide on the type of strain you want, you can choose how you want to consume it. Not sure how to roll a joint? Grab a pre-roll and let someone else do all the hard work. But make sure you tell the budtender exactly what you want. Some pre-rolls are mixed with tobacco or hashish. Let the budtender know if you’re only looking for a pure joint. If you’ve got your own pipe, bong, or you want to roll your own joint, you can buy weed by the bag. The good news is that you don’t need to buy all your own gear. Ask the budtender to hook you up, and you can use their grinder and papers for free. You will need to bring your own lighter or buy one from the bar. Some Amsterdam coffeeshops will also have vaporisers you can use. Not a fan of smoking? Buying space cakes in Amsterdam is the next best thing, but you need to use them with caution. Edibles like weed cakes, brownies and cookies are super strong, last longer and take a while to kick in. If you’ve had a meal beforehand, it can take up to two hours before you start to feel the effects. In my case, it took about 30 minutes as we hadn’t had lunch. A good rule of thumb is to share the space cake with someone else or eat it in small quantities. It’s also best to avoid drinking alcohol after eating a weed brownie if you don’t want to waste time hugging a toilet. It is against Dutch law to smoke cigarettes inside public spaces. Some coffeeshops won’t allow you to light up, even if it’s rolled into joints with marijuana. If you’re unsure, always ask the budtender where you can smoke tobacco. It is against the law to by more than five grams per day in a coffeeshop. But with such high-quality and strong weed in Amsterdam, you’re not likely to meet this threshold. Even if you don’t look a day older than 28, you’re going to get asked for your ID. The legal age to smoke weed in Amsterdam is 18, and the coffeeshops are strict about enforcing the law. I left my passport at my hotel (I have a history of my bags getting stolen) and used my South African driver’s license without any problems. 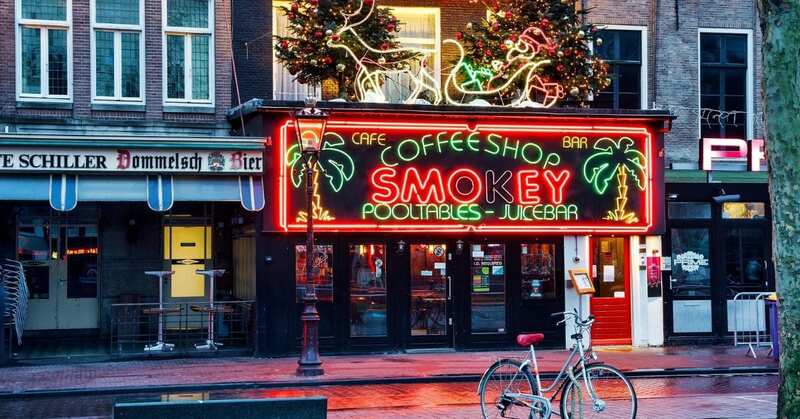 Amsterdam coffeeshops are prohibited from selling weed and alcohol. The logic behind this is that the Dutch government doesn’t want you mixing the two substances and causing public disturbances or accidents. Not all coffeeshops accept card payments. Before you buy some weed ask the budtender what forms of payment they accept. Make sure your credit card is authorised for overseas withdraws and purchases to avoid being unable to pay. Take a deep breath and try not to worry. The effects of weed don’t last more than a few hours, and your feelings of paranoia and anxiety will pass. (You’ll know you’ve had too much too soon if you start to feel light-headed, anxious or sick). Order hot, sugary drinks like coffee to help with nausea and ease your mind. It’s also not a bad idea to eat some food. Luckily, Amsterdam coffeeshops will have some light meals and drinks on the menu to cater for your stoner needs. 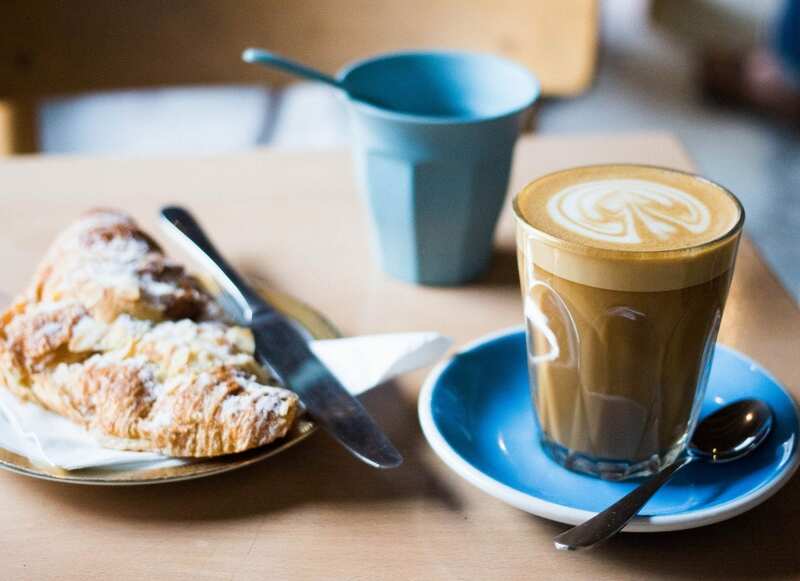 If you want to visit the best coffeeshops in Amsterdam, you’ll need to do some research. Or you can throw caution to the wind and walk into the first establishment you find and see if you like the vibe. I decided to do a mix of both during our week in Amsterdam. First, we tried two well-known coffeeshops with excellent reviews and a few awards under their belts. Then we tried walk-ins at two other shops while exploring the city during the day. After getting off the train from Berlin, Greg and I made a bee-line to Barney’s. The coffeehouse has fantastic reviews online, and it’s even won a few High Times Cup awards. While the quality of weed didn’t disappoint, the shop was super tiny and packed with people. I’d give this spot a miss if you don’t like crowds, or aim to visit between rush hours. If you can push past the hustle, the staff at Barney’s are exceptional. The budtenders went out of their way to explain the menu to us, and we didn’t feel rushed into a decision. Green House was recommended to me by a friend and ended up being my favourite coffeeshop in Amsterdam. It’s one of the most famous spots in the city, and it’s THE place to go if you want to run into a stoned celebrity. The walls are plastered with pictures of Rihanna, Britney Spears, Cyprus Hill and other stars who have stopped by for a smoke. Green House is also far enough from the city centre that it’s rarely bursting with tourists. You won’t struggle to find an empty chair, and the seating area is way more comfortable than Barney’s. I also loved the upscale atmosphere. It’s a bougie weed experience, and the menu is excellent with many popular international strains. What sets Boerejongens apart from other coffeeshops in Amsterdam is its decor. It’s styled as an antique pharmacy with Art Deco furnishings and white-coated dealers. There’s even doorman who looks more like bellhop than a bouncer. Upstairs is a private room that feels like you’ve entered a private club. The only downside is that the seating area is tiny. When we arrived, there wasn’t any space for us, and we had to skip on the chance to soak up the old world ambience. Out of the four shops we visited, the only one I wouldn’t recommend is Coffee Shop Crush. The vibe was awful, the staff weren’t friendly at all, and it felt quite seedy. I thought ducks were out to get me in the park. (Shout out to everyone who tuned in for that Instagram Story). I got super paranoid about leaving Barney’s and didn’t want to take my phone out my bag to get my friend’s address. I got a major craving for pancakes and whipped cream. I stuffed my face with overpriced poffertjes. I slept like a champion for the first time in weeks. Oh, and we went into a tattoo parlor, and I almost got an impromptu Taurus star constellation tattoo on my finger. Aaaand I almost got hit by bikes multiple times. If you come from a country like South Africa where there aren’t bicycle lanes or people with little bells telling you to move out of the way – prepare yourself. It’s a minefield when you’re stoned. Yip, that pretty much sums up my Amsterdam marijuana experience. Would I do it again? Hell yeah, but I’d stick to the edibles. I’m not a smoker and found the high more manageable and pleasurable than when I smoked a joint. Whew! I hope you picked up some tips for visiting Amsterdam’s coffeeshops! Do you have tips any for first-timers? Did I leave out any important info or get something wrong? Drop me a comment below! Did you find this post useful? Pin it for later on Pinterest? Bulldogs service can sometimes be a let down -rude staff that are very impatient…the vibe there was super super awesome and the music world class!!! I can relate to the bike story, lol!! !Between nursing the paranoia, trying to remember which side of the road to look before crossing, dodging bikes, and trying to act sober; I have had the time of my life on all four times that I’ve been there. Hahaha XD I was terrible with the bikes especially with the bells ringing. I’m so used to ignoring sounds because no one rides bikes in my city. I can’t wait to go back to Amsterdam and spend the summer there when it’s a wee bit warmer.